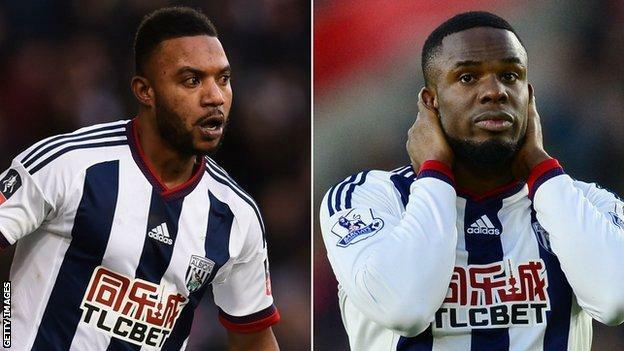 Midfielder Stephane Sessegnon and striker Victor Anichebe have left West Brom after reaching the end of their contracts at The Hawthorns. Sessegnon, 31, has scored eight goals in 92 games for the Baggies since joining for a then-club record fee from Sunderland in September 2013. Anichebe, who signed at the same time in a £6m move from Everton, scored nine times in 63 appearances. “They worked really hard and were as good as gold,” said boss Tony Pulis. Only bottom side Aston Villa scored fewer than West Brom’s tally of 34 Premier League goals this season. “We have to have that little bit more in the final third,” said Pulis after their final-day draw with Liverpool.